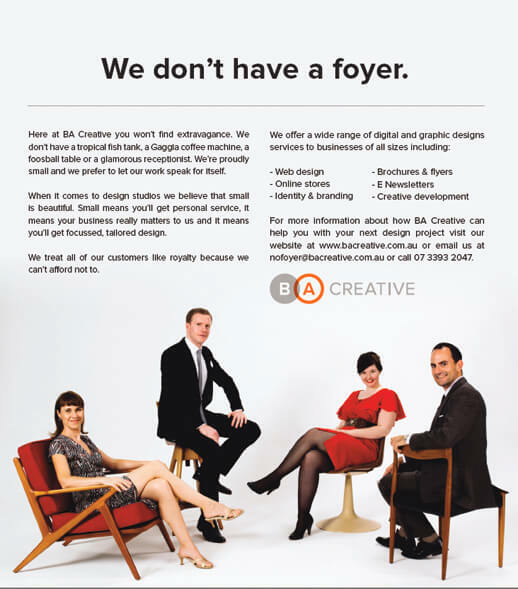 Following on from the Australian Modern launch and Photo shoot posts I thought I'd show our back page ad in full. To keep with the classic theme of the publication and the, dare I say it, Mad Men-esque style of the photography we came up with a layout and copy style that hopefully captures the mid-century feel. We’re really happy with the way it has turned out and we’re getting great feedback. Hopefully we’ll get an increase in sales too – we might even be able to afford that Gaggia machine!